The challenges of designing innovative products are to balance power, speed, weight, accuracy, strength, and cost. Additive manufacturing (AM) reduces product development lead times and provides geometric freedom, part consolidation, and design individuality. Additive manufacturing or 3D printing is not a new technology. Additive manufacturing first emerged in 1987 with stereolithography (SL), a process that solidifies thin layers of ultraviolet (UV) light‐sensitive liquid polymer using a laser. Since then, various other technologies have been invented such as fused deposition modeling (FDM), Selective Laser Sintering (SLS), PolyJet, Electron Beam Melting (EBM), etc. Selecting the right additive manufacturing machine is vital to achieving the desired quality and lead time. However, the part is only as good as the design. A typical design process involves defining the design space, fixing the boundary conditions, applying loads, defining manufacturing constraints, running topology optimization, and analyzing the optimized design to match the desired performance. Since topology optimization is a critical step in part design for AM, simulation-driven design software is an essential tool for engineers. Recently, design software companies have released AM focused software tools. For example, Altair’s Inspire and OptiStruct software can help engineers design an AM part from scratch or convert a traditionally manufactured part to an AM part. With the advent of automated, connected, electric, and shared (ACES) vehicles, lightweighting, and personalization will become even more important. AM technology can help achieve the mass targets while improving performance in most cases. One of the first applications of AM in automotive production part is the roof bracket of the BMW i8 Roadster. Typically, such complex components require supports during the 3D printing process to maintain structural integrity; this reduces the efficiency of the component’s design as well as its production due to post-processing procedures such as support removal and additional part refinishing. BMW used software tools to design and print this part without support using the Selective Laser Melting (SLM) technology. The primary hurdle for AM today is the fabrication and post-processing times which are not suitable for high-volume production. The fabrication lead time can be addressed by adding machines. However, the post-processing times are significant and increase with part complexity. Nevertheless, there are other applications which can benefit from AM such as tooling, limited run injection dies, patterns for casting, custom parts, etc. Education and training are as important as research and development. There is a strong need to train and educate students and professionals on the capabilities of AM. In Michigan, the government has set aside 59 million dollars to promote talent in the state. Additive Manufacturing technology, if marketed well, has the “coolness” factor to attract young student into the manufacturing industry. Companies involved with AM, for example, DASI solutions, are designing professional apprentice programs which combine on-the-job experience with a college education. 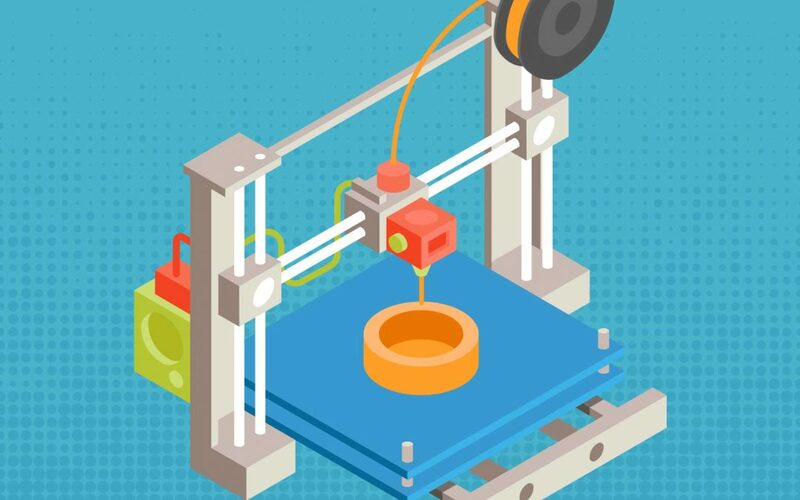 Additive Manufacturing is just getting started, and its applications are endless. With the right tools and training, manufacturers can achieve their targets through AM and the manufacturing industry can attract young talent.